Although wearing shoes that crowd the toes will not actually cause bunions, it sometimes makes the deformity get progressively worse. Symptoms may, therefore, appear sooner. In selecting the procedure or combination of procedures for your particular case, the foot and ankle surgeon will take into consideration the extent of your deformity based on the x-ray findings, your age, your activity level and other factors. The length of the recovery period will vary, depending on the procedure or procedures performed. The usual post-operative course is 3 days non-weight bearing after surgery and then patients are allowed to walk with a special boot on their foot. The boot stays on for 2-4 weeks depending on the patient. 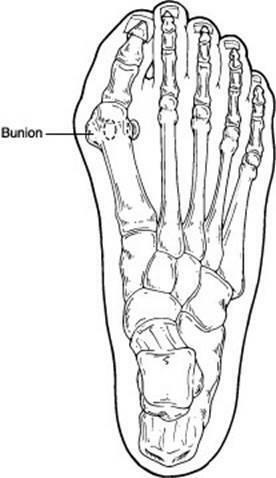 Dr. Cottom will identify what is causing your bunion and explain this to you in detail. Once the primary cause is identified, procedures can be selected that will fix the bunion once and for all. At Florida Orthopedic Foot & Ankle Center we routinely perform revision surgery on patients who had a bunion surgery at another location and the cause of the bunion was not addressed and it reoccurred. We are able to correct these with excellent results. In addition, Dr. Cottom has published several papers on treating bunions in peer-reviewed journals and teaches other surgeons on these techniques routinely. Sorensen MD, Gradisek B, Cottom JM. 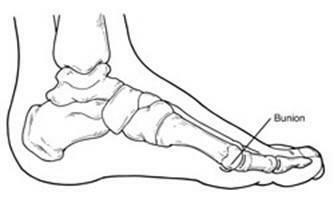 Metatarsus Primus Varus Correction.Clin Podiatr Med Surg. 32 3: 355-74. 2015. Cottom JM. Fixation of the Lapidus Arthrodesis with a Plantar Interfragmentary Screw and a Medial Low Profile Locking Plate. J Foot Ankle Surgery. 51: 517-522, 2012. Cottom JM, Vora AM. Fixation of the Lapidus Arthrodesis with a Plantar Interfragmentary Screw and Medial Locking Plate: A Report of 88 Cases. J Foot Ankle Surgery. 52: 465-469, 2013. Cottom JM, Rigby RB. Fixation of the Lapidus Arthrodesis with a Plantar Interfragmentary Screw and Medial Locking Plate: A biomechanical Study. J Foot Ankle Surgery. 52: 339-342, 2013. Pre-operative view and post-operative view of a bunion deformity treated with an opening wedge plate. Note the excellent reduction of the bunion deformity. 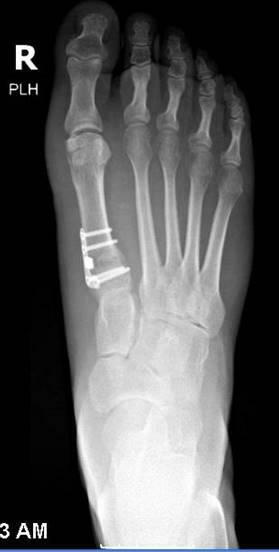 Pre-operative and Post-operative x-rays of a patient who underwent a Lapidus Arthrodesis for a severe bunion deformity.